The non-clinical spotlight series exists to shed light on all of the interesting non-clinical career paths that physical, occupational, and speech therapy professionals have taken. Today’s spotlight focuses on Julia McVicker, who went from occupational therapist to OT educator and founder of Georgia Therapy Collaborative Networking Group. Where did you attend OT school, and when did you graduate? What did you do when you first left school, and for how long? My first job out of school was as an OT on an inpatient rehab floor at Dekalb Medical Center in Decatur, Georgia. I trained with another OT on documentation and the process of how the unit worked for about a week, and then I was responsible for maintaining a full caseload. While I felt overwhelmed at the idea, I had two COTAs who were very experienced and open to working with a new grad. I learned a ton at my first job about working with front office staff, nursing staff, and managing my patients with other disciplines. I eventually covered in the acute orthopedic units and outpatient. However, during OT school, I developed a deep love of outpatient hand therapy, and looked for every opportunity to train under a Certified Hand Therapist (CHT). I eventually took a “leap of faith” and quit my full time job and switched to part-time/PRN at Dekalb while I shadowed and worked with a local CHT. After a while, she began to pay me to treat clients for her per needed/PRN, and I used that experience to apply for my first outpatient job in hand therapy. At what point in your career did you decide to start the Georgia Therapy Collaborative, and why? It is kind of funny to think back. Originally, I formed a company called OT Collective, which I still own, and I was looking for a way to connect with more OTs in my area. I grew tired of working in a field where OTs were so isolated from one another. I think, like most of us, I was always the only OT in a clinic, and had to rely on relationships I made with other OTs for resources. Starting OT Collective gave me a platform for dipping my toes into an area of OT and professional development that I had not been exposed to before. I started my first website, and built it by myself, which was a total learning curve for me. It involved long nights of watching YouTube videos and trying to decipher tech talk into terms that made sense to me. At first, I did a lot of head nodding when I went to tech events and heard terms like SEO and sales funnel. I would smile, make a quick note, and then spend the next few days/weeks investigating what that meant and how to use that knowledge in my company. As I started to build the OT Collective, I realized what I was searching for was a way to connect with all rehab disciplines—and as I searched, there was nothing that met my needs in my therapy community. That is when the Georgia Therapy Collaborative was formed. I couldn’t think of a better use of my time and talent than finding a way to build a bridge for clinicians to connect. What was the original intent of the Georgia Therapy Collaborative? Like many entrepreneurs, you have to leave your concept and company open to taking new directions and molding to what consumers want or need. I don’t know a single person who started a company or created a product that said it came out exactly as they first envisioned. I think that’s the thrill of owning and directing a company, seeing how a spark ignites a fire. I am happy to say that I did a few things early on that have allowed this group to grow and expand to meet the needs of clinicians, but always following our mission and vision and staying true to our concept. The primary goal of our group is to create an organization with a sense of community in therapy and promote interdisciplinary collaboration between rehabilitation therapists. 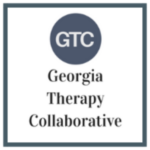 The Georgia Therapy Collaborative’s vision is to promote interdisciplinary collaboration between rehabilitation therapists in the state of Georgia. Our vision is to increase a sense of community among rehab professionals and grow engagement opportunities in the state of Georgia. What has helped the Georgia Therapy Collaborative to grow so quickly? Hands down, the most amazing thing about this group is the community we are building around it. I couldn’t have gotten this off the ground without the support and guidance of my team of board members: Tracey Wallace, Sarah Caston, and our newest board member, Kristen Webber. I have been blessed to have each of these well respected and accomplished women on the board. They bring such a depth to the group with their knowledge and relationships in different areas of therapy. Along with building a strong board to support the framework for our group, we launched a program late last year for therapy ambassadors. The therapy ambassadors are joining us as pillars of the group to help with sharing our message with other students, colleagues, institutions and in return allowing our group to connect to those institutions. I would like to thank our early adopters into this group and let them know they are the backbone of this group. What has the Georgia Therapy Collaborative accomplished this far? The GTC has an established website at https://gtctherapy.ning.com, where clinicians join the group and create their own page with their connection information that is shared in our directory. We have a blog page with local therapist spotlights to share with the group. We have hosted online and in-person events for clinician engagement. In our first year, we adopted a charity, and we were able to donate with a fun and social wine tasting event. Some of my favorite events have been our Meet Up events, where we meet at a local business or charity that serves our clients and we get to learn more about the business and how to connect our clients or even what barriers might keep them from getting the services they need. One way we keep connected is with our rotating pub nights in the metro area of Atlanta and we have plan to expand to other locations over time. We are always looking for ways to expand the group to fit the needs of the members, please feel free to reach out to us at gtctherapy@gmail.com with any suggestions. Are you still in patient care at this time? If so, how much of your time is spent with patients vs. non-clinically? Recently I have accepted a non-clinical position as an academic fieldwork coordinator and instructor in a COTA program in Georgia. I also remain a resource therapist for patient care needs and am a clinical representative for Saebo neurologic products. For the networking group, I am working on raising capital to help expand upon our vision to include more events and charitable giving. I spend one to two days a week and several evenings working on the networking group and OT Collective companies. Whenever possible I attend local leadership and professional development events online and locally. What is a day/week in the life like for you with your role? I work full time in my non-clinical academic role and host meetings for my networking group in the evenings and weekends. My family is a huge part of my life and routine. My business fits in where there are time gaps and when I can coordinate with other activities. I find this actually helps me be uber-focused on business tasks when I know I have a finite amount of time to spend. I usually spend half days prepping materials for the month ahead and have to plan out events in advance. I won’t say I do it alone, as I have an incredibly supportive husband and mother who helps watch my children. I am also constantly looking for ways to speed up tasks and when appropriate outsource lengthy processes for the company. You can work full-time and parent full-time and still be successful in your business. Just make sure you keep your personal and professional priorities in line and be true to what you are trying to accomplish and what you are willing to sacrifice for that goal. What are some of the biggest pros/cons of your role? The number one thing I love about having a therapy company is that it gives me a framework for building new skills and keeps me focused on my professional development. The reward is meeting other like-minded individuals and supporting each other. I have had very few interactions where I have reached out to another small business owner where they have not been interested in hearing more about my company or helping to support my journey. It is a really special group to be a part of. The two major cons to running a company are the revenue and startup costs (which are substantial), and finding a network of people who are interested in your idea or company. When you think of a major organization or business and you hear the name Amazon, for instance, you know immediately what they do and how you can use their products. These companies have spent countless dollars and hours promoting themselves to get this to the attention of the public. The startup of a small business involves getting really comfortable with explaining who you are and what your business does in a way that is interesting and inviting, often referred to as an “elevator pitch”. This initial buy-in to your company is a large part of your launch and branding strategy. What are your big plans for The Georgia Therapy Collaborative? The Georgia Therapy Collaborative or GTC Network is growing and planning more events for the upcoming year. In order to reach more clinicians in the state of Georgia these events are both live and online. For a list of current events please visit our site at https://gtctherapy.ning.com/. We are expanding our platform to add career and professional development services including a platform for searching for open and active job postings in the state of Georgia. In the next few years, the plan is to expand this across the entire state of Georgia and then work with neighboring states to build a networking group in their local state. If you are interested in hearing more about opportunities please contact me at gtctherapy@gmail.com. Do you have any recommended books, podcasts, or courses that have helped you get where you are now? Do you have any special advice or recommendations for someone who wants to take a similar entrepreneurial path? If you are thinking of taking a leap into becoming a thera-preneur (therapy entrepreneur) I highly recommend you spend some time reviewing Facebook groups, LinkedIn profiles and websites of other entrepreneurs. I would find a community or individual I connect with and use them as a mentor and guide on your start up. You have the skills to accomplish all of your goals; you just need to find your team. Secondly, I would caution you to always be authentic and transparent. I work hard at separating my professional career and my non clinical business. It is important for my role as a business owner and a leader to be professional and have high expectations of myself in both roles. Who you are in your company must complement who you are professionally. In other terms you must “practice what you preach”. Thanks for your insight, Julia!